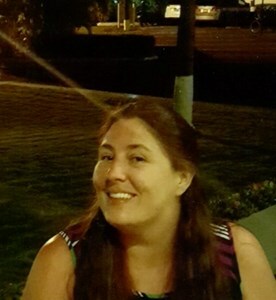 Stacey L. Ramirez, age 42, passed away on Sunday, August 26, 2018, after a short battle with ovarian cancer. She was born on May 14, 1976, in Green Bay, to Allen Fye & Evelyn Hendricks. Stacey graduated from East De Pere High School in 1994. She worked for Humana for over 19 years. She enjoyed reading, puzzles, craft shows, traveling on vacations to Mexico and Jamaica. She enjoyed spending time with her friends and family. Stacey married Kiely Ramirez on July 27, 2002. Survivors include her husband, Kiely Ramirez; children, Brianna Vanderheyden and Alex Ramirez; father, Allen (Cindy) Fye; mother, Evelyn (Michael) Hendricks; siblings, Katie (Jesse) Derenne, Kari (Tim) LeFevre, Elyisha Fye, and Jesse Heise; grandma, Bernice Fye; aunts, uncles, nieces, nephews and cousins. Visitation will be held from 3:00 pm until 6:30 pm on Friday, August 31, 2018, at Newcomer - Green Bay Chapel, 340 S. Monroe Ave. A memorial service will be held at 6:30 pm. The family would like to extend a special thank you to Heartland Hospice for their excellent care of Stacey. Add your memories to the guest book of Stacey Ramirez. There’s so many memories that come to mind from the last 40 years of our friendship. From running around playing “boogeyman” late at night or “running away” from home at 8 years old only to realize that nobody even noticed. Or when she made me drive the bike and she rode in the baby seat. We were a tad bit competitive but I always knew that she had my back. She literally had my back with fights in our neighborhood! As we do many childhood friends, time slips away and you get involved with careers, kids and husbands. But with Stacy, I always knew that if I needed her, she’d definitely be there to back me up. Even if I didn’t deserve it. Love you Stacy. Always. Onion Sisters for life. I dont have a childhood memory that doesn't have Stacey in it. My sister and I went to see her Saturday morning, and I asked her if she'd come to terms with this and how is she processing this. She said to me, every morning I wake up, I'm angry that I did, I'm just in so much pain. When i woke to find out she'd passed I was relieved that she was no longer suffering but was the final chapter in my youth. Fly high sweet sassy stacey. Love you forever. Kiely, I am here for you Briana, Alex - just let us know. Love always and forever, the Gordon family. ? Kiely, I am truely sorry for your loss. My prayers are with you and your family at this time. Stay strong and remember all the great memories you two shared.